There are many benefits of reading with children which will improve their academic abilities and quality of life. Research has shown that reading to children significantly raises their potential for academic and life-long success. 1. Reading encourages family bonding. The first benefit of reading is that your children will feel more loved because of the books you have shared. For many children "love" is spelled "T-I-M-E" and reading together requires good quantities of time! Reading will also promote communication between parents and children. For a child whose love language is time, reading will fill his love tank. For a child whose love language is physical touch - cuddling up will express love to her. For a child whose love language is words of affirmation - there will be opportunities to discuss and praise her for her perception. For a child whose love language is acts of service - you are serving him by reading to him. For the child whose love language is gifts - well, buy her a lot of great stories and she'll feel loved and adored too! 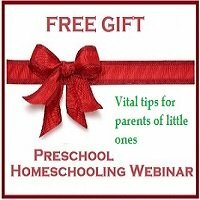 Children that know they are loved have a greater likelihood of succeeding in life. 2. Routine - Regular reading contributes to predictability and routine in the home. 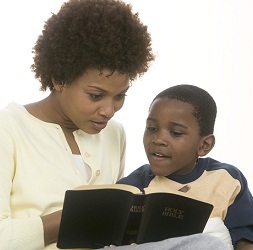 If children know that every evening they will share a bedtime story or every morning a Bible story, they become secure in knowing what is expected at different times of the day. As a child, our neighbour's children used to rush over to our house after school in the afternoon to join us in our daily read aloud of The Magic Faraway Tree by Enid Blyton. 3. Tradition - Another benefit of reading together is the establishment of a much loved family tradition. 4. Common experiences - Reading provides a family with shared experiences and a rich reserve of common knowledge from which to draw. We can use this to remind our children of life lessons and character training we have learned from the stories we have shared. E.g. Remember how the little girl felt when she was excluded by the other children in The Hundred Dresses ? We can also share jokes and humorous comments when we have the same information base from which the humour is drawn. 5. Teaching moments - Children can learn many lessons about how to function in the world from stories that they enjoy, especially if a parent discusses the issues that arise. Reading facilitates 'teaching moments' where children's fears can be overcome, sympathy developed and their experiences broadened. They can be taught appropriate behaviour through new situations they encounter through the reading of stories. The author of this toddler's book dealing with sexual abuse, My Body Belongs to Me, contacted me and sent me a link to this interview where she was on TV. Talking To Your Kids About Sexual Abuse - please take a few minutes to watch it!! Building an open relationship and good communication can be a key factor that empowers a child when confronted with a bad situation or bad relationship - and books like My Body Belongs to Me empower us, the adults, to equip our children better with the information and skills they would need, if such a situation ever arose! 6. Facilitates difficult topics - Reading carefully chosen books may facilitate communication about topics that might otherwise be difficult to broach eg. Divorce, racism, sexuality, etc. 8. Healthy family entertainment - Reading aloud together introduces children to books as a form of entertainment and enables families to entertain themselves with topics of their own choosing, instead of being at the mercy of the television channels! Reading good literature is a much healthier alternative to the media. 9. Develops discerning readers - Another benefit of reading is that introducing your children to good quality stories from a young age will help them to become discerning readers with a taste for good literature when they are older. 10. Sparks life-long interests - Reading aloud may seed a child with a life-long interest in a particular field. e.g. Reading about James Herriot, a country vet, may spark a desire to become a vet. 11. Develops attentiveness - Reading aloud teaches children to pay attention, focus and concentrate. Even if a child pursues other activities like puzzles, lego or drawing, she will learn to pay attention and listen carefully. Attentiveness is a good skill for academic success. 12. Reading aloud develops auditory perception - the skill of hearing and understanding what has been said. 13. Reading develops vocabulary and pronunciation skills. Children will be exposed to words they would not normally encounter. Usually they are able to guess the meaning of new words from the context, but often parents may need to explain. 14. Aids deciphering new words - Having a wider vocabulary will enable a beginner reader to decipher new words more easily as he already understands them and knows how to pronounce them. 15. Models good language - Reading good written text provides a model of good grammar and sentence structure which will promote good language skills, both oral and written, in children. Another great benefit of reading! Children need a large store of complicated and sophisticated language data in their brains in order to become effective communicators in later life. 16. Links written and spoken language - Reading aloud helps young children understand the relationship between written text and the spoken word. They learn that we page from left to write and read left to write and top to bottom down a page. They understand that the letters on a page carry meaning. 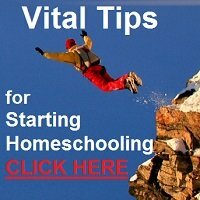 "...children have no natural appetite for twaddle, and a special literature for children is probably far less necessary than the booksellers would have us suppose...What they want is to be brought into touch with living thought of the best, their intellectual life feeds upon it without meddling on our part." 18. Develops cognitive skills - Reading aloud develops children's imaginations and creativity. Following the complexities of a plot also facilitates logical thinking and problem solving skills. 19. Increases IQ - Reading aloud has been shown to increase cognitive ability and IQ scores. 20. 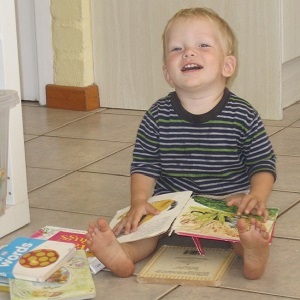 Develops curiosity - Reading stories develops children's curiosity about people, places, motives and more. 21. Enjoyable learning - Reading together enables children to learn about subject matter that might be dry and boring in other formats. For example, a story set in historical times will make learning about that time period far more interesting than just reading the dry facts in a text book. 22. Promotes lifelong learning - Children learn that much of the answers they need can be found in written format - in books, libraries and on the internet. 23. 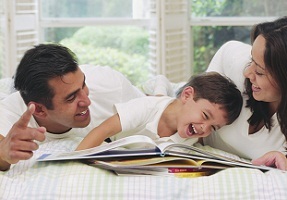 Reading aloud with your children will do all of the above for you, the parent, too! The benefit of reading is not just for your children. A preschool programme with nursery rhymes to learn each week, as well as a list of recommended, quality children's stories to read aloud together as you and your children adventure through the alphabet, one letter per week.